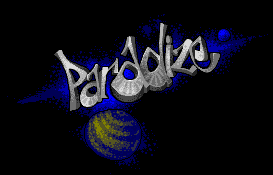 Paradize will broaden the range of toosl in use and thus support C coders as well. Simon Sunnyboy started to work with the AHCC Compiler package and future Paradize productions might be made in C aswell. To help with that we will provide libraries and snippets of C code here in the same fashion as with our GFABASIC page. Why AHCC you might ask? AHCC is Pure C compatible and more important it is still developed and supported and it even runs under MinT and other multitasking OSes. Feel free to take what you need from here. Make sure to read the copyright notice in the appropiate section before using. The routines are for AHCC v3.7b and up. All binary libraries are compiled for 68000 only and shoudl work with all Ataris. The source distributions contain appropriate project files so you can build the libraries yourself. We hope you'll have as much fun with these routines as we have using them. If you download anything, we'd like to ask you to visit our forum and drop us a note if possible. All code pieces in this subsection are © Paradize and you may ofcourse use and (if you want to) improve them. All we require is that our copyright stays intact and that you give us credits or a greeting in your prod. This is a small IKBD handler. It hooks the IKBD vector and allows you to get keyboard, mouse and joystick events. The TOS handler is disabled but it allows you to make sure no other process can interfere with your input under multitasking OSes. This makes sure your program takes all input events so no other process can interfere. Godo to write a game or demo which will even run from Mint without other processes interfering. Note: The current version does not read joystick 0 yet but this will be added soon. Despite its name, the library allows to setup ST-LOW or ST-MEDIUM for your C program and offers a clean return. It works on TT and Falcon aswell. The library includes support to load .PI1 .PC1 and .NEO files. This is gwem's SNDH replay interface for GFABASIC ported over to AHCC. It hooks into the 200hz Timer C and allows to replay SNDH music from AHCC. The Source code is included in the archive. This is Simon Sunnyboy's rasterbar interface for GFABASIC ported over to AHCC. The main.c includes a description how to call the raster kernel interfaces properly. It hooks into the VBL and Timer B to color one of the given color registers of the ST Shifter. The Source code for the lib and a small demo screen is included in the archive. This is GT Turbos's interface for the Wizzcat Protracker replay for GFABASIC ported over to AHCC. The main.c includes a description how to call the raster kernel interfaces properly. This routine does not check for STE hardware and will bomb on other machines. STE DMA sound is needed, the Protracker modules will play at 12kHz. The Source code for the replay interface and a small demo program is included in the archive. This is a small LINEA hack for AHCC. It provides an equivalent of the GFABASIC command RC_COPY to AHCC customtailored for ST-LOW. WARNING: Current version only works with NVDI active. I don't know why yet. Like GFABASIC it relies on LINEA to do the dirty work. This is neither really clean nor superfast but for smaller and not time critical things like preparing background screens, it should be enough. The Source code is included in the package. This routine copies tiles (such as for game backgrounds) onto screen. The routines are optimized for ST-LOW and tiles can only be blitted in 16pixel columns. The Source code is included in the package. Simply link the assembly library file and use the supplied C header from AHCC and Pure C.
This routine is for STE and F030 only. It allows the user to configure a splitscreen display. Each display part has its own 16 color palette and can be scrolled with the STE hardware scrolling parameters. The scanline at which the split will occur is freely configurable. Special thanks to Klapauzius and Nicolas Pomarede for helping with the Timer B stabilizer routine! How to use the libraries? After unzipping put the files from the LIB folder in your LIB folder in the AHCC installation. Put the headers in INCLUDE and now simply add the corresponding LIB file to your project. Refer to the example C program in the source distribution and/or the corresponding library header file for available calls. Visit our forum if you need more help.